Home › Does your computer need a PC MOT? Does your computer need a PC MOT? Not sure if everything is OK with your computer? 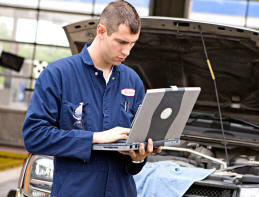 We can provide you with peace of mind by giving your computer or laptop a “PC MOT”. A PC MOT allows us to check through the settings and logs, remove things which may be slowing the computer down, ensure that the latest updates are correctly installed and programs are running the latest versions, clear away the rubbish, and recommend changes which would help the computer (and you) going forward. Contact us now to arrange for your PC MOT.